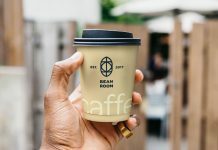 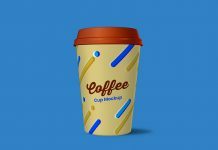 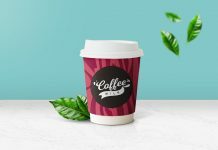 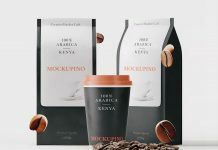 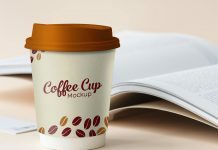 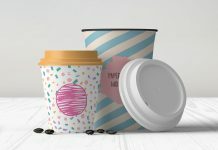 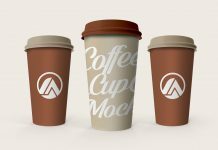 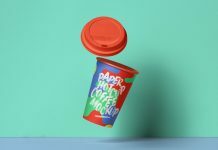 A 3D generated and photos based mixed media coffee cup mockup to showcase coffee branding, tea branding or kahwa branding design. 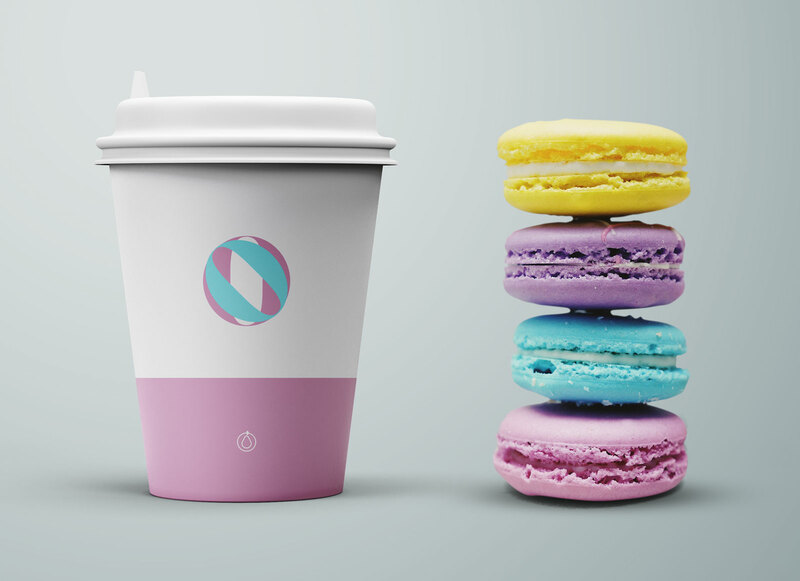 Both cup and cookies are placed on the transparent background. 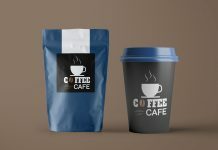 Light, highlights and shadows can be customizable along with background. 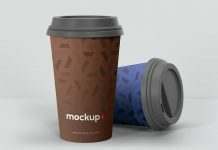 There are some photo filters placed above mockup. 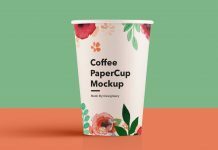 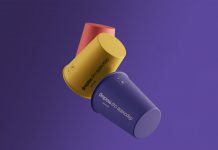 You can use them to receive color variations of the mockup psd.